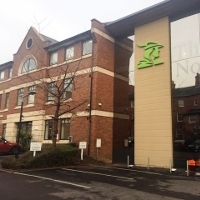 Nottingham Building Society (NBS) has chosen to renew its contract with Incentive FM for a further 3-year term which includes the remit to include its recently expanded network. The deal, worth in excess of £4 million builds on a 16-year partnership in which Incentive have sought to deliver high standards and improve efficiencies. With the completion of this new contract Incentive FM, one of the UK’s leading independent facilities management companies will continue to handle the facilities management for all NBS locations. Constituting over 68 buildings located in Nottinghamshire, Leicestershire, Derbyshire, Cambridgeshire, Hertfordshire, Lincolnshire, Northamptonshire, Norfolk, Staffordshire, and South Yorkshire. Incentive FM will provide fully integrated solutions includes all cleaning, security, M&E, building fabrication and maintenance services. In addition, Incentive FM will support all health and safety, fire safety, and water safety requirements across the site portfolio. The operation will continue to be supported by a web-hosted CAFM help desk system (Concept Evolution) to enable all personnel access to information about asset management and service requirements to further improve communication flows.